The CD-200iL is built with a retractable iPod dock on the front of the player. You can attach iPods or iPhones with the 30-pin dock or Lightning connector. With this new dual connector dock, the CD-200iL is compatible with any iPod or iPhone device making it ideal for users with varying iOS Devices. *Built-in 30-pin and Lightning Dock cannot be used at the same time. To help improve audio quality, the lower-grade digital to analog converters of the iOS device in-use are bypassed by the digital connection of the CD-200iL. It is also possible to vary playback speeds when in use with a compatible iOS app. * TEAC does not provide a playback application. Please acquire an application for playback from the App Store. * Regarding application specifications, contact the application developer. 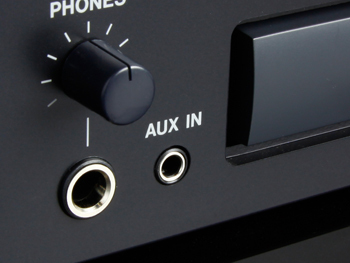 The CD-200iL is designed with a stereo mini AUX IN connector on the front panel to allow compatibility with other non-Apple audio devices. 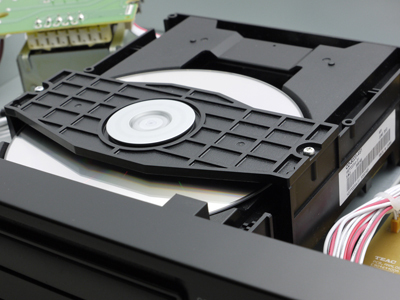 All models in the CD-200 series have CD drives designed for audio by TEAC. By undertaking development ourselves and including our drives in the player, we have achieved even higher reliability. The CD-200iL is capable of playing a variety of audio files, not just audio CDs. TASCAM is constantly devoted to making products of quality, versatility and innovation and guaranteeing use in varying situations. The 10-seconds shockproof memory prevents skipping from vibration and other disruptions. 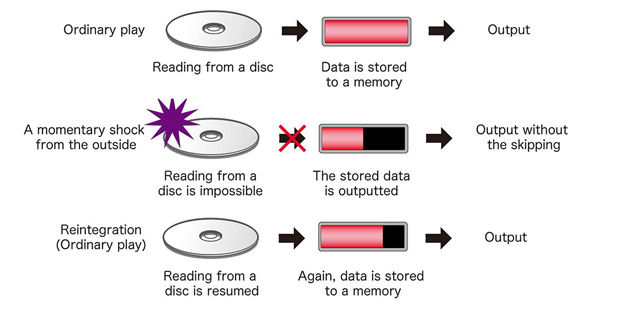 If a vibration lasts less than 10 seconds, data stored in the player's memory can be played back without skipping, preventing undesired interference.